Henk Ovink knows something about how to keep the ocean at bay. Hailing from the Netherlands, which started flood planning some 800 years ago, he served as the second in charge of a department in the Dutch government that deals with planning and water. 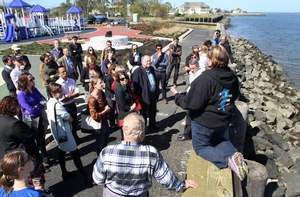 Now on loan to the U.S. government, Ovink arrived on the Bayshore Thursday with teams of engineers, architects, planners and scientists to learn how the locals live and to come up with better ideas to combat hurricanes and flooding. “You’re facing something we’ve been facing for ages,” he said. 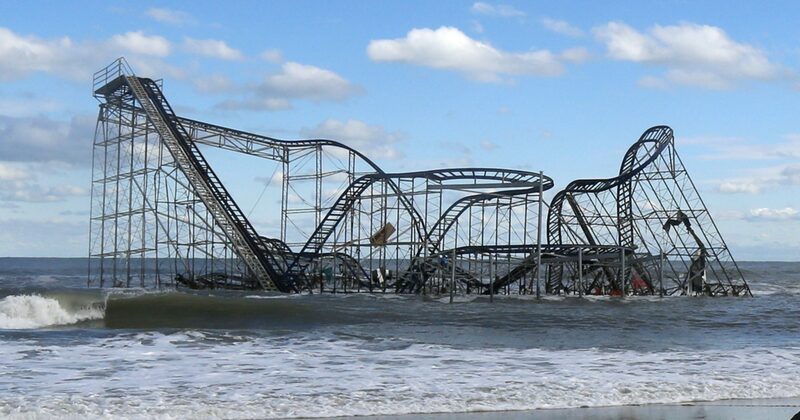 Ovink is heading Rebuild by Design, a federally funded program that has 10 transnational teams working on ways to shore up areas at risk from extreme weather. Watch the video above to learn more about the program. Full article here.